Come join Adam and Drake as they attempt to become prince of thieves in this game of memory, trickery and planning! 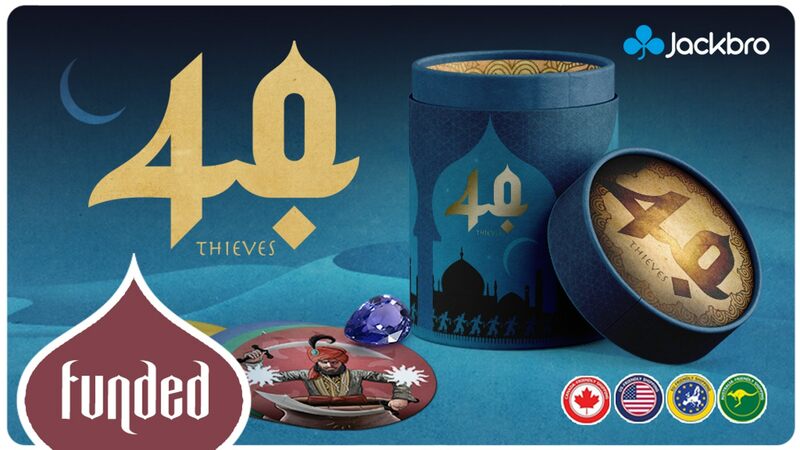 40 Thieves is a strategic memory game with hand management mechanics. 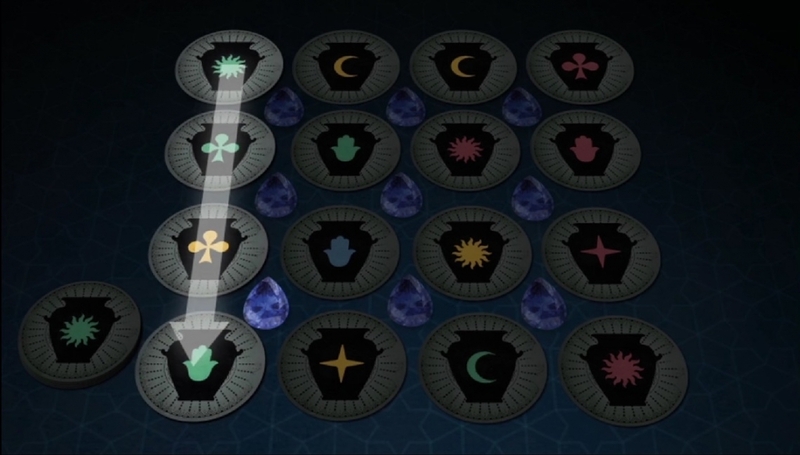 The goal of each player is to steal the most sapphires. They do this by correctly naming the color or symbol of the tiles surrounding the sapphire. 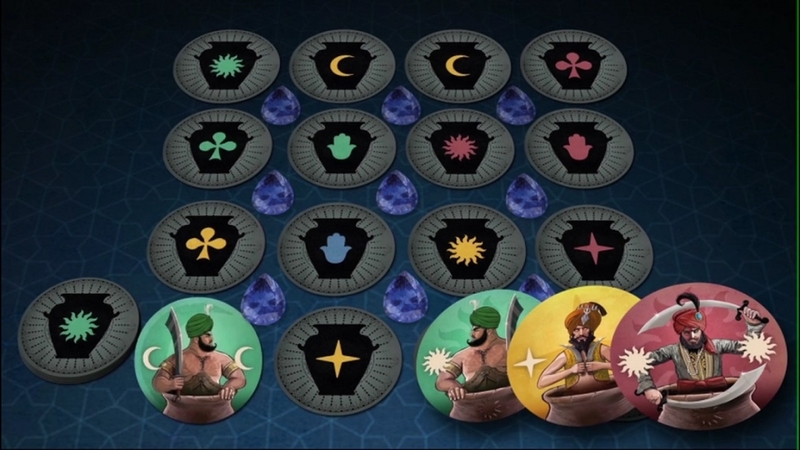 On each player’s turn, they draw until they have 3 tiles in hand. Then, they have the option of peeking at any tile. This is useful for obvious reasons in a memory game, but also has potential drawbacks. If a player peeks at a dagger tile, for example, they discard their hand. These special tiles can also be played directly from the hand, each with their own effects. The backs of the tiles (the side with the jar) have no bearing on the face-side of the tile and are just to help keep track of the tiles. After their optional peek, players can take an action. Either playing a tile from their hand to use it’s effect, or swapping a tile on the board. They can swap tiles from their hand or two adjacent tiles already on the board. Players claim sapphires by correctly stating if the surrounding tiles or the tiles on a line adjacent to the sapphire are of a proper combination. A proper combination is 4 of the same color or symbol, or 4 of totally different colors or symbols. Guessing wrong gains the player an Evil Eye, worth negative points at the end of the game. 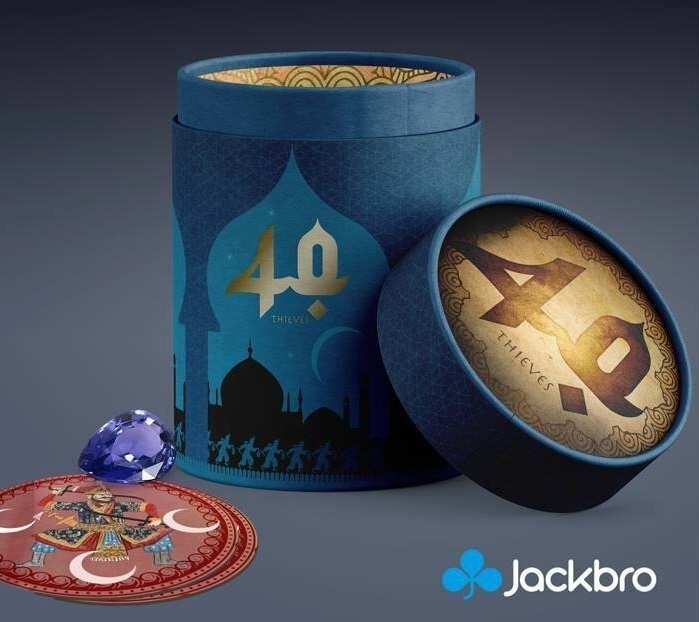 Once the last sapphire has been claimed, the game is over and whichever player has the most points wins!